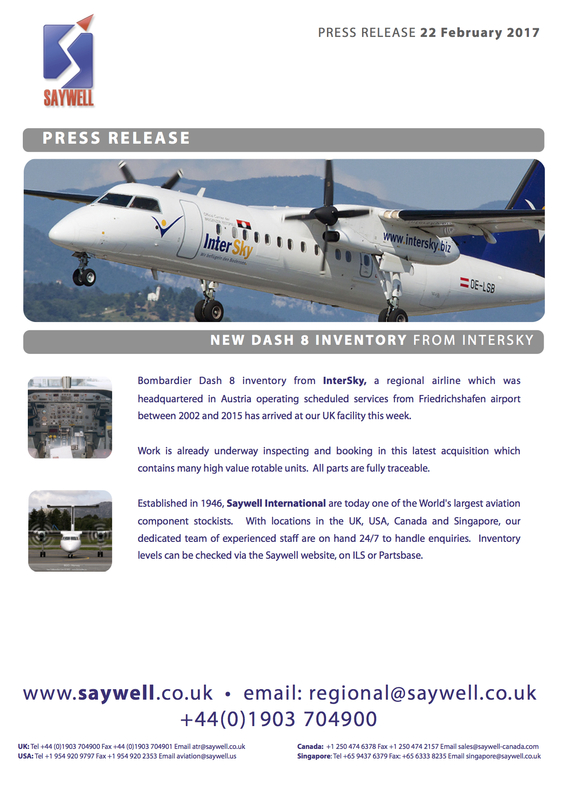 Bombardier Dash 8 inventory from InterSky, a regional airline which was headquartered in Austria operating scheduled services from Friedrichshafen airport between 2002 and 2015 has arrived at our UK facility this week. Work is already underway inspecting and booking in this latest acquisition which contains many high value rotable units. All parts are fully traceable. 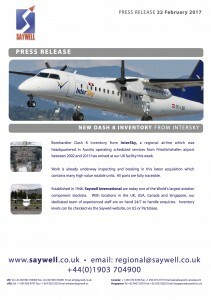 Contact regional@saywell.co.uk with enquiries.